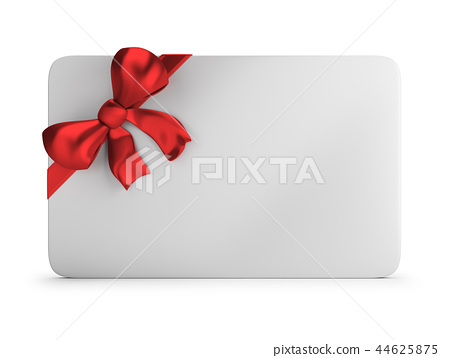 3d gift card with red silk bow. 3d image. White background.